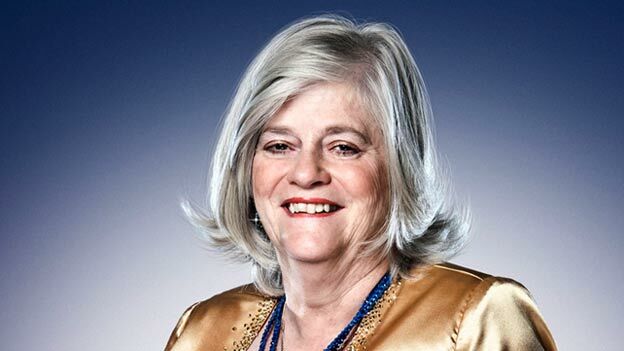 Widdecombe, sharp-eyed readers will recall, is the formers Prisons Minister who insisted that women prisoners should be manacled to their hospital beds while giving birth. As a feminist role model she’s probably up there with Meghan Markel. Because she too has been recently held-up, rather confusingly as a feminist icon. After liberal feminists stopped off from (quite rightly) campaigning against the “Princessisation” of girls culture, it seems more than a bit weird to celebrate Meghan Markel. Yes she’s not a porcelain caricature from English aristocracy but … that’s about it. You can’t be a Feminist Princess. Equally, I’m confused about Justine Greening’s recent elevation. But should we really be looking for equality in a cabinet of contempt? In a government that has the repugnant Esther McVey, a Food Bank enthusiast really going to be the place for gender balance? Justine Greening isn’t an icon to rally around because she’s gay or “Northern”. In the context of the most insidious punitive Conservative Government in living memory, this sort of lifestyleism isn’t helpful. But I’m not the only one who’s confused. b) Girls are extremely keen on feminism. So if you tell girls that feminism means they can’t be interested in princesses any more, the message that sends is that being a feminist inevitably means being a bossy, self-righteous bore (otherwise known as a “parent”). I could go on, and probably would, except that now I have to go and play a board game. As for Ann Widdicome, f*** her and the horse she rode in on. Hopefully”girls” will read The Fellowship of the Ring and meet the real Arwen rather than make a feminist icon out of her for deeds she didn’t carry out. We could go into a debate about the realness of the original Arwen versus the film version. Both are fictional after all, aren’t they? Personally I am a bit of a stickler for authenticity, and was really annoyed that they left out Tom Bombadil and the Scouring of the Shire, but what can you do? Both stories are out there in the culture and we have to deal with them. However, I am sorry to say that LOTR and even the Hobbit have been rejected as reading material because they don’t have any good female characters. PS. Why do you put “girls” in inverted commas? Is there something wrong with that word now? Sorry Robert as an ancient feminist I would be happy to see the end of princessdom and everything it represents. Time for new role models please. Yes, that is what I would have said before becoming a parent. I have learned better: you can’t choose what children are interested in, you have to try and find positive images to counter the negative ones. In the olden days, Britain only had around thirteen treasures, but I’m sure we have space for more, especially if we have a clear-out of the loot-vaults of the British Museum. Hmmm, perhaps the mythical Bed of Widdicombe, whose power was that any pregnant woman who lay upon it was magically ensnared? Erm, the Tiara of Meghan, which casts a glamour so that any who view the wearer projects their own biases upon her? The Hamper of McVey? The Trap of Ivanka? The Figleaf of Greening?